Create beautiful scarves and other woolen accessories without ever picking up a hook or needle! Finger Weaving Scarves & Wraps using three simple techniques to weave fashionable scarves, blankets, bags, and more. Large color photos are used to clearly explain each weaving technique. 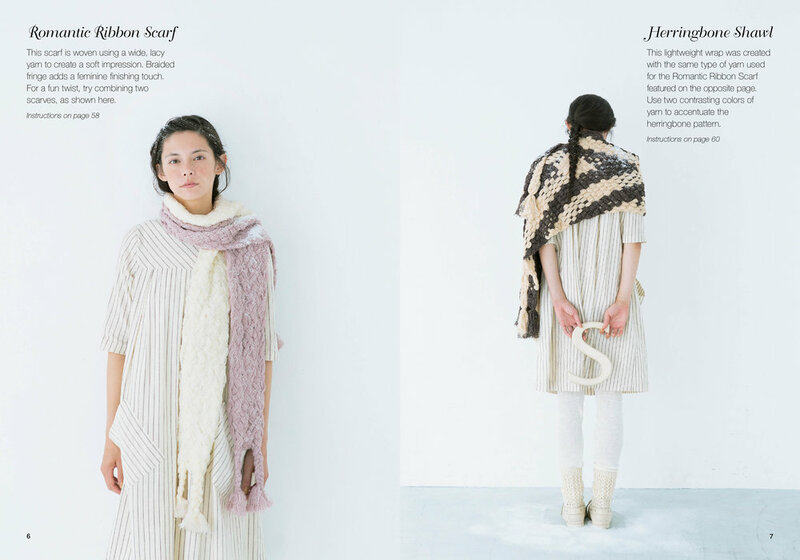 Follow the step-by-step instructions to make one of the 18 beautiful projects included in the book, or design your own using the weaving pattern guide.